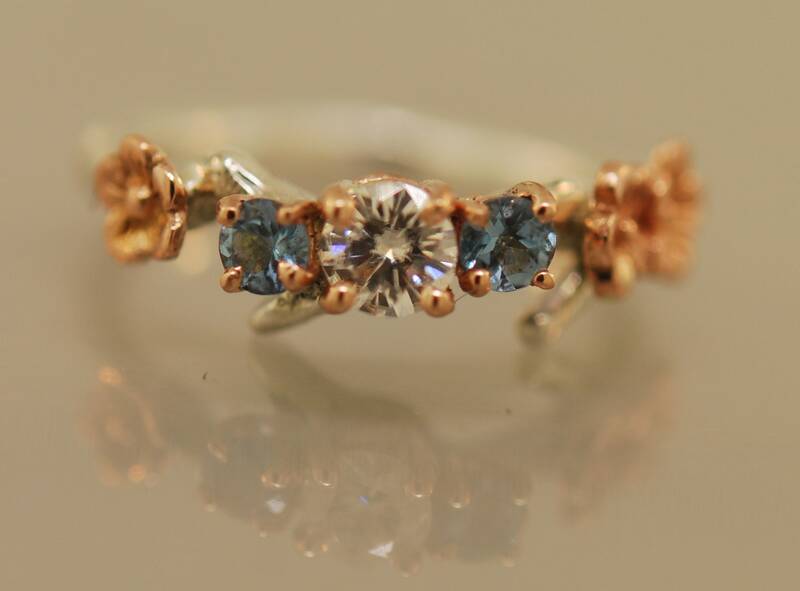 This truly unique ring features 14 karat rose gold cherry blossoms with a 4 mm forever one certified moissanite center stone from Charles and Colvard . 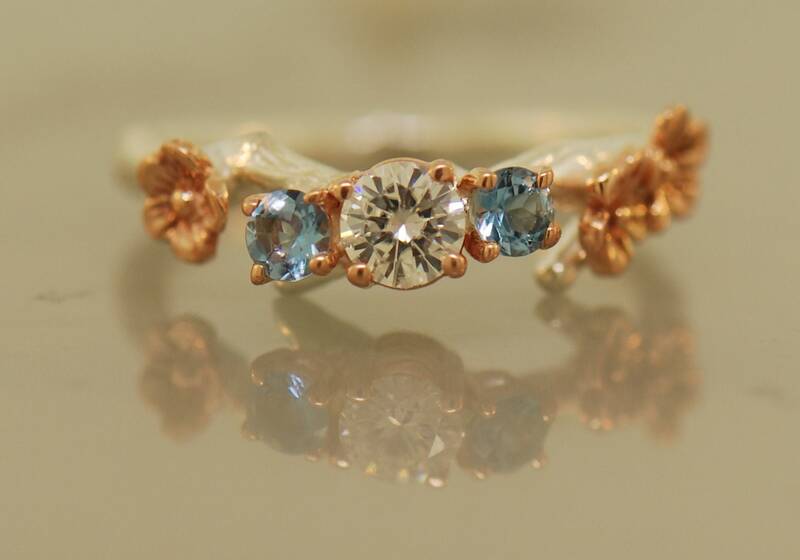 The moissanite is accented with 2 aquamarine faceted stones. 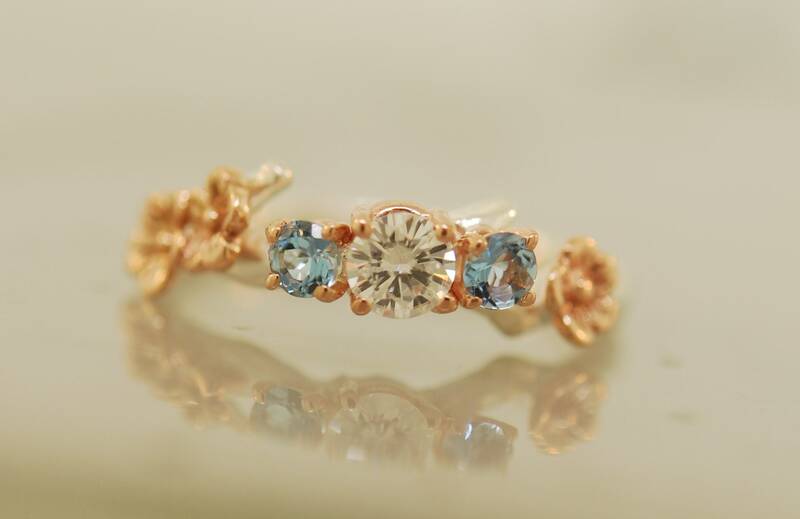 The settings for the stones are also all 14 karat rose gold. 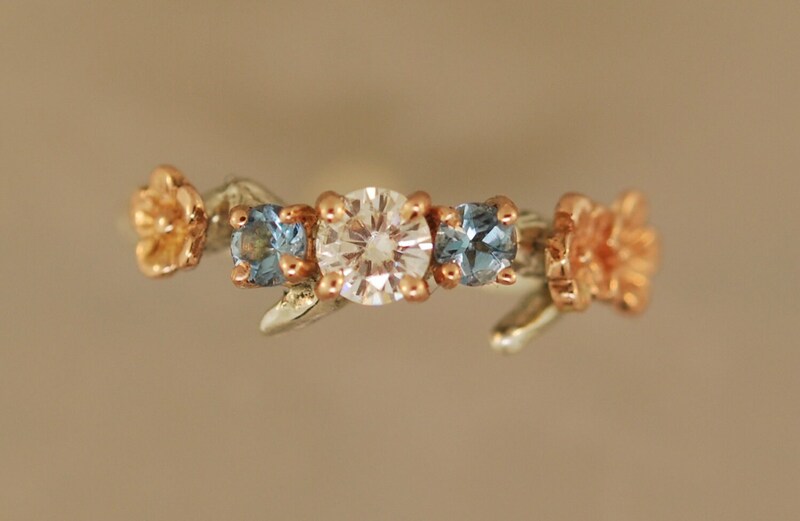 There is beautiful detailing in the flowers and band with a light and delicate feel in these rings. The band is sterling silver in the photos but also available in 14 karat white gold. I can also make with a 14 karat band that is available from the drop down menu. 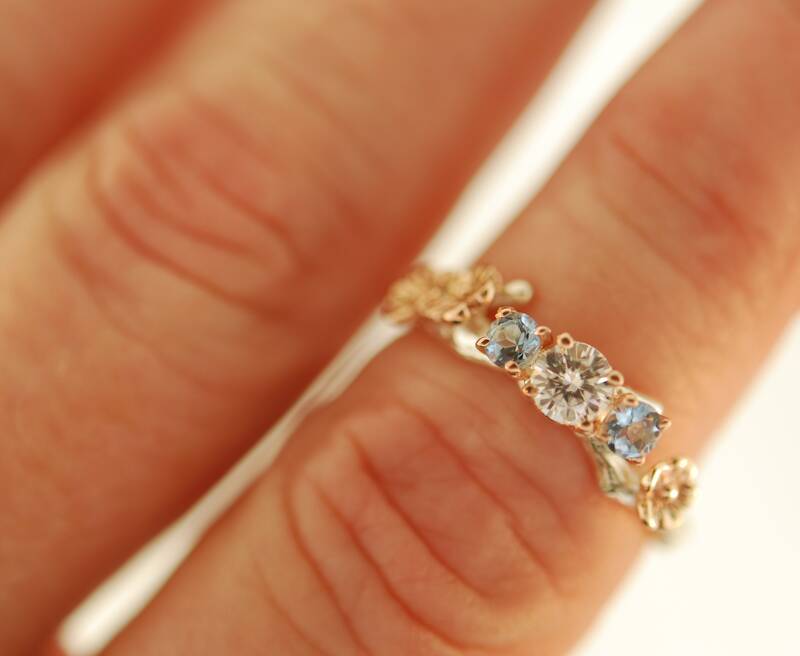 This make a wonderful alternative engagement ring or everyday ring. Perfect for nature lovers. I can change the side stones for you. Please email me with your favorite.